Folk-lovers will be able to see the richness of the Kyrgyz folklore, national Kyrgyz instruments and the Kyrgyz epos. From ancient times the Kyrgyz people were famous for their musicality. The Kyrgyz divide music, going back to the past, into song and kyu. All the musical compositions for national instruments refer to kyu. 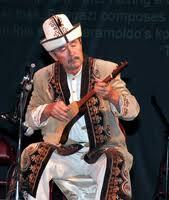 The most popular musical instrument is a three-stringed musical instruments played by plucking – komuz. 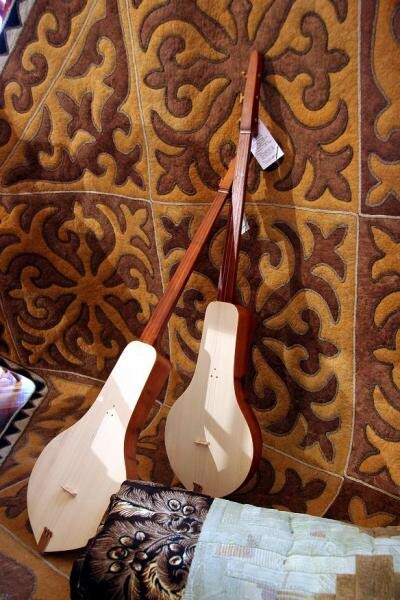 Two- stringed bow kayak and reeded temir ooz komuz are also popular. Solo playing is traditional for the Kyrgyz. The alternate, in the competition form performance of the musicians and singers is widely-spread. Kyrgyz songs are pleasant and melodious. Listen to Kyrgyz melodies and songs, they will bring joy and quiet to your hearts. The custom of tribal mutual help takes a special place in traditional culture of the Kyrgyz people. In all cases of the Kyrgyz life the fellows became a party to this activity; they assist morally and materially, that was called “jardam”. If one family was in need of food, dwelling, clothes, all relatives (ailchanes) helped with it. Family and relative groups – “bir atanyn baldary”, “top”, “raja” were notable for special unity and team spirit. These groups usually consisted of several dozens of families and had the common ancestor in the 3, 4, 5 continuations of the clans; the name of the ancestor was given to the group. The family lives of these groups went together in many cases: they could organize the mutual grazing, safe the cattle and members of the group jointly. The eldest man of the tribe organized and coordinated many parts of the mode, housekeeping of the related families. Such kinds of groups also exist in our days.